If you are a freelance creative writer, then you are probably deeply involved in the task of locating a few quality, good paying creative writing jobs. Sometimes you wonder where to even start? One of the hardest parts of looking is sifting through all the scams. It seems that even if you have just a little bit of interest in earning money, then you get hammered with spam. Is there a way to find legitimate creative writing jobs? The news gets better as we found a few sites that will help you weed out some of these scam sites. It does not matter if you are copywriter, creative writer, editor or even a hybrid of all these skills, these sites can offer you some very reputable freelance writing jobs. Even better news is that the resources listed below are totally free. Here you will find a big list copywriting jobs, but you are able to search job postings by writing category. Of course as the board’s name suggests, it is for blogging jobs. There are lots of topics here that need content. Although the focus here is for journalism, there are several other types of writing positions too. Some of them are based on locations, while others can be performed remotely. This site has a great freelance section and a diverse range of jobs in industries like TV, marketing, magazines, book publishing, and also social media. This one of the best job boards for telecommuting. This site allows you to customize and set up a job search profile which will meet your personal needs. Set up your categories and all the other particulars and run the search daily. Easy peasy. This is an e-newsletter that is published weekly and offers really nice list of freelance writing jobs of all types from around the Internet. And they offer very competitive pay levels. A very successful blog that was created by Darren Rowse of ProBlogger who is a huge authority on blogging. These guys are very serious about getting great content. This site serves as an aggregator of writing job opportunities that includes postings that was collected from sites like Craigslist and Indeed. Nice board that consolidates a variety of potential gigs for anyone from rookie to very seasoned freelancers. This is a community where clients and writers can interact to create and accept various writing job opportunities. 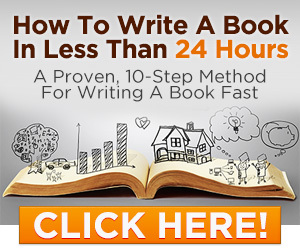 Each writing job must pay a $50 minimum for each post or at least 10 cents for each word. This is a listing of jobs that will pay a solid minimum for blog posts. These blog represent a very large variety of topics. They also provide tips for promoting yours writing skills and how to approach prospective blogs for gigs. This is a good way for those who are already active on LinkedIn. You will be surprised at the connections you can make in that online community. There are types of freelance sites that can be very alluring – particularly if you are just starting out. We are talking about sites like oDesk, Guru, and Elance. These sites change a fee to join their community, and then you get to search their vast listing of all types of different job ranging from web design to software code engineering – and yes there are creative writing jobs too. This is not the best place for beginning freelance writers because it takes some time to get established. So you should have some experience and especially a sizable portfolio first. You have to realize that are lots of people on these sites looking to pay low prices for content. And this is very tempting for beginners to take these low paying jobs. So if you are seeking creative writing jobs, be sure to stay the course and accept only the best opportunities.